Think commiting a felony is the only way to lose your Voting Rights? Think again. Being too old can do it too. Bards Logic welcomes American Statesman host Sally Baptiste. We discuss what happens to a 100 year old woman that loses her Right to Vote, can this happen to other citizens, and the attempt to allow non-citizens to vote. Miriam is 100 years young and the State of Florida has taken away all of rights via a court appointed "Plenary Guardian". Miriam should have had a "Limited Guardian" appointed, but they perfer to strip the senior of all of their rights. Meet Miriam E. Lancaster - "Let Me Vote!" 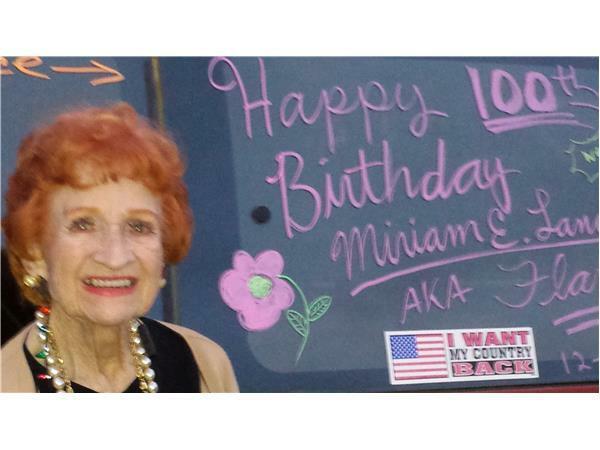 Do you think Miriam is too old to vote?? Beware of Florida Statutes for Guardianship - Seniors Lives do NOT Matter! !